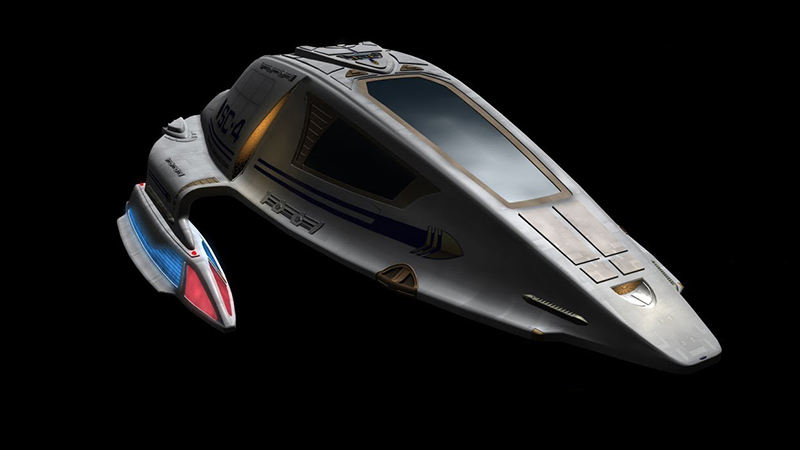 Notes: This shuttle is from the start of the 25th century, it was piloted by Admiral Janeway in an attempt to alter the timeline when she returned to the late 24th century to bring the U.S.S. Voyager back to the Alpha quadrant. The shuttle is equipped with transphasic torpedoes capable of destroying a Borg cube and deployable ablative armor. The shuttles computer interface consists of a synaptic transceiver that responds to the pilots thoughts. Janeway's shuttle was also outfitted with a chrono-deflector for time travel. These technologies were integrated into the U.S.S. 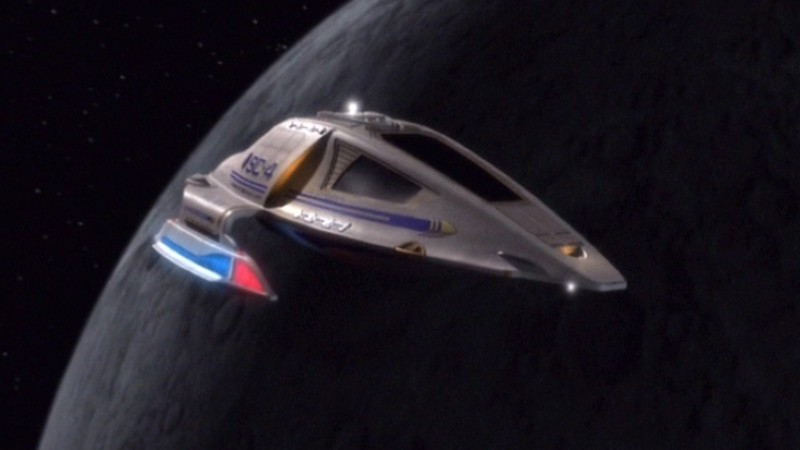 Voyager which returned to Federation territory. Starfleet has yet to start deploying these future technologies aboard other starship classes but is expected to soon.